The heritage and tradition of Prince ‘ruling the court’ lives on with our new Prince collection of bags. The entire collection offers a variety of innovative options that are light on weight and heavy on important features. Prince continues to design, develop and offer racquet accessory items that enhance the player experience from start to finish. Prince bags are no exception. 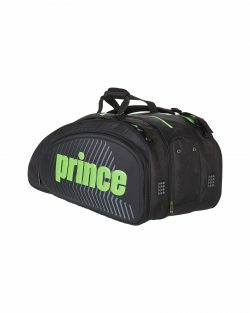 All Prince bags continue to support the brand’s leadership position of our racquet franchises and remain the brand of choice for the world’s leading tennis professionals and amateurs alike. Our collection is manufactured with only the finest, premium materials paying particular attention to exceptional performance, function and style.